About Alessandra R. Message Alessandra R.
Alessandra was great. She was fun and her energy gave life to the places we visited. We did not get to see all the sights we wanted due to our tight schedule. But the 2 and a half hours with her was more than substantial and it made us want to come back to see more of this city's treasures with her. Many thanks! TOUR GUIDE RESPONSE: Dear Ofelia! Thank you so much. You absolutely have to come back and I can't wait to see you again. Being with you was pure joy! Our tour with Allessandra was very enjoyable and interesting. She added a personal touch to her stories of the old town and the historic churches. Her approach was very friendly and professional and she paced the walk according to the group's needs. Our group of mature ladies welcomed the coffee stop with an opportunity to sample the delicious sfogliatelle. She was also helpful in making recommendations for the rest of our weekend when asked. Grazie mille Allessandra! TOUR GUIDE RESPONSE: It was a great pleasure to visit Naples with so enthusiastic ladies. Your passion for Italian culture and language is incredible. Hope to see you again to show you other jewels of Naples and to...practice Italian language! Big hug to you all! Alessandra is a gem! 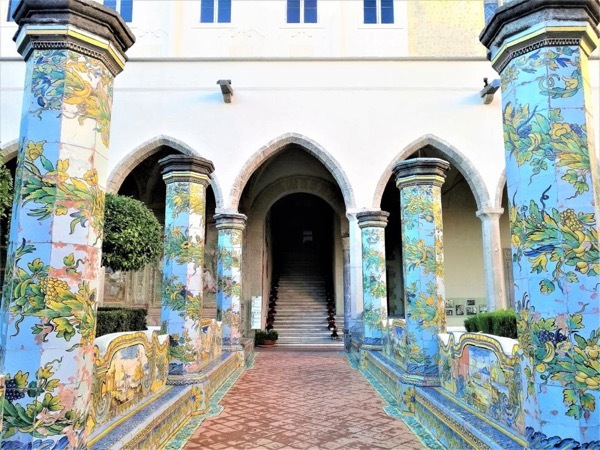 Besides being a charming Neapolitan, Alessandra took four of us through a wonderful historical journey of Naples, melding the past with interesting commentaries on the present. She was very adjustable with our requests to spend more or less time in certain areas. Alessandra was our perfect companion in Naples. TOUR GUIDE RESPONSE: Dear Karin, I am immensely grateful for your incredible words. I do my job with passion and I hope people appreciate it, but getting a comment like yours excites me and makes me really really happy. I can not wait to see you again soon!!! I had two tours with Alessandra. WOW, was she fantastic! Absolutely accommodating. And listened to what I was interested in in order to create a tour that showed me exactly what I was looking for. And her knowledge .... not just of the history on Napoli (which is fantastic on its own), but the stories and legends that are mostly hidden from view! She is a natural storyteller with an obvious love of her city and it's history. Spending time with her was like walking around Napoli with a friend! Perfetto! TOUR GUIDE RESPONSE: Karin, I also felt the same feeling of being in the company of a friend. And it was so natural to show you my favorite places. Your smile, your participation, your constant good mood have been my greatest reward! I can't wait to meet you again! TOUR GUIDE RESPONSE: Dear Neil, it was such a great pleasure to be your guide. I spent fantastic hours with you and your wife. Hope to see you again for a second, a third time, a forth time! Alessandra was AMAZING! We were travelling with a large group and our train got delayed by an hour. She helped us rearrange our transport and completely rearranged how the tour was done so we could get the most out of it in the limited time left (we had to catch a ferry). We were travelling with a few elderly people and she was very kind in letting them sit whenever possible and going at a slower pace. She was very knowledgeable about Naples history and found us the BEST pizza place we have ever eaten at. TOUR GUIDE RESPONSE: Thank you Melanie! I hope to see you again soon to spend more time with you and your amazing family. All the wonderful attractions in Naples are waiting for you! I am so very glad we chose to book a tour with Alessandra! She gave us a lot of information but kept her descriptions concise enough that it didn't feel like info overload! She kindly answered countless questions from us that were all over the place topic wise. She also didn't mind that someone in our group couldn't stand for long periods of time which was incredibly helpful to have her be on the lookout for chairs. We would not hesitate to take another walk with her next time we come back to Naples! TOUR GUIDE RESPONSE: Dear Autumn, many thanks for your kind words. Spending time with you and your family was a delight and really really funny! I will never forget how hard we were laughing at Piazza San Domenico! Thank you so much and hope to meet you all again asap! Alessandra was wonderful. She provided lots information and history for every site in Naples we visited. She is very personable and enjoyable to spend part of a day with. She has great style. She was also very accommodating and flexible to customize the walking tour to our needs. She took us to places we would never have seen on our own - really enhanced our visit to Naples. Alessandra was a wonderful tour guide. We learned so much about the city of Naples and its history. Her love of Naples was evident in everything she showed us. Would highly recommend her to anyone looking for a fantastic guide! Alessandra is an amazing tour guide. She is extremely professional, and passionate about the history of Naples. She enjoys it and makes you enjoy it too. She is also very caring, kind and is flexible with time and itinirary. She will accomodate you the best she can... she did for us, and we absolutely appreciated it. I absolutely recommend a tour with Alessandra. TOUR GUIDE RESPONSE: Thank you Anna Maria! Your feedback is really important to me, it pushes me to always do better. Give my regards to all your family. Your nephews were so joyful, interested and stimulating! Thank you so much! Alessandra was a wonderful guide. She gave us a history of Napoli as we travelled by private minibus that was exceptionally clean with great air-conditioning. My two older teens enjoyed the Kayaking and snorkelling. The sea was a little rough but we were guided well by Alessandra and the Kayak guide Andrea. After the kayaking we went to a private beach for a swim. They were barbecuing fresh seafood there that smelt wonderful. A glorious day, highly recommended Five out of five Thanks Alessandra. TOUR GUIDE RESPONSE: Thank you Mark! I had great time with you, chatting and paddling in the wonderful gulf of Naples. I am very proud to have shared with you one of my favourite place and I hope to see you and your fantastic family again to show you the other stunning attractions that Naples can offer! Alessandra was superb! We were shown the town of Naples and provided plenty of opportunities to do the things we wanted to do. It was nice to be relaxed and to take things slowly. 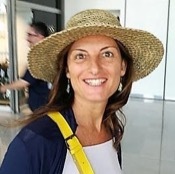 Alessandra has a wealth of knowledge about Naples and her passion for Naples shined throughout the tour. Highly recommend having Alessandra show you around Naples! Thanks again from the gents from Australia, Nic and Michael. TOUR GUIDE RESPONSE: Dear Michael and Nic, I spent wonderful time with you. Thank you very much for your amazing review. Your appreciation for the way I do my job, for the love and dedication I put in it, is my greatest reward. Hope to see you again! We thoroughly enjoyed our guided walking tour of Naples with Alessandra. Within 2 hours she showed us the interesting highlights of the old quarter. Her depth of knowledge about the history and culture of Naples is very impressive and she is wonderful company and very charming. She was extremely helpful with additional suggestions and tips regarding places to visit, eat and drink which added considerable value to our trip. She was very patient with our constant questions ! A first class experience. TOUR GUIDE RESPONSE: Thank you, Lloyd! You are so kind! It was really a pleasure to spend time in your company. Hope we meet up again one day! Alessandra developed a custom tour for us, and our time with her was exceptional! Naples has a rich history that Alessandra shared with us. Highlights included buildings transformed from Baroque to Gothic style as rulers of the city changed, archaeological sites of the ruins of the buildings upon which new buildings were built, catacombs underneath and sarcophagi adorning churches. Alessandra also took us to a restaurant for pizza. This was the best pizza ever and the best tour ever!! TOUR GUIDE RESPONSE: Dear Connie and Jim, Thank you so much for the kindest comments. It was a privilege being your guide. I really appreciated your attention, your thoughtful replies during the tour. I am glad you had a lovely time and I really enjoyed showing you most of Naples highlights. Hope to see you back in Naples, there is still an unbelievable amount that I would like to show you! I will always remember you!